Please sign up for our Newsletter. We will not rent, sell, or spam your personal information, ever! 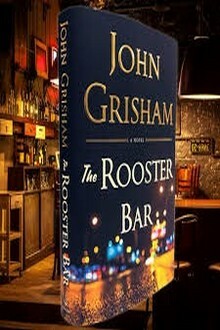 In this featured book recommendation, I am promoting the latest work by John Grisham, The Rooster Bar. I just thought I would share with you the most appropriate quote I have ever read about John Grisham, which is also a critique of The Rooster Bar from the Philadelphia Inquirer, “Grisham is a marvelous storyteller who works readers the way a good lawyer works a jury!” Or the New York Times, “John Grisham is about as good a storyteller as we’ve got in the United States these days.” As quoted from, The Library of Science review. If you enjoy courtroom drama as I do, you know there is no one better than John Grisham at spinning courtroom thrillers than him. If you have another choice, please feel free to tell all of us in the comment section. I am always looking for new talent, new books on the subject. I also like to read Scott Pratt, Stephen Penner, John Ellsworth, and Sheldon Siegel. Although they have not perfected their craft as well as John Grisham, it is a pleasure to read their crime drama stories and many of their books are available to read free with Kindle Unlimited. You can check out up to ten books at a time, so you’ll easily get your $9.99 per month back if you are an avid reader like me. This has been a very good year for Grisham fans, after The Whistler, Grisham gave us Camino Island, a rousing tale about a daring heist of original manuscripts from the Princeton Firestone Library. The story of the robbery is quite exciting, but the real story is about the little-known, black-market dealer in antique books and manuscripts, Bruce Cable, who owns a small bookstore on Camino Island in the small resort town of Santa Rosa. Mercer Mann, a novelist who has a bad case of writer’s block and recently laid off from her teaching job, goes undercover to discover just what Bruce Cable is really selling. In The Rooster Bar, Grisham unleashes three law school students on the student loan industry. They discover a scam set up by an hedge-fund operator who also owns a bank that specializes in student loans. They initiate an investigation into the scam and run into to all sorts of self-made trouble along the way. 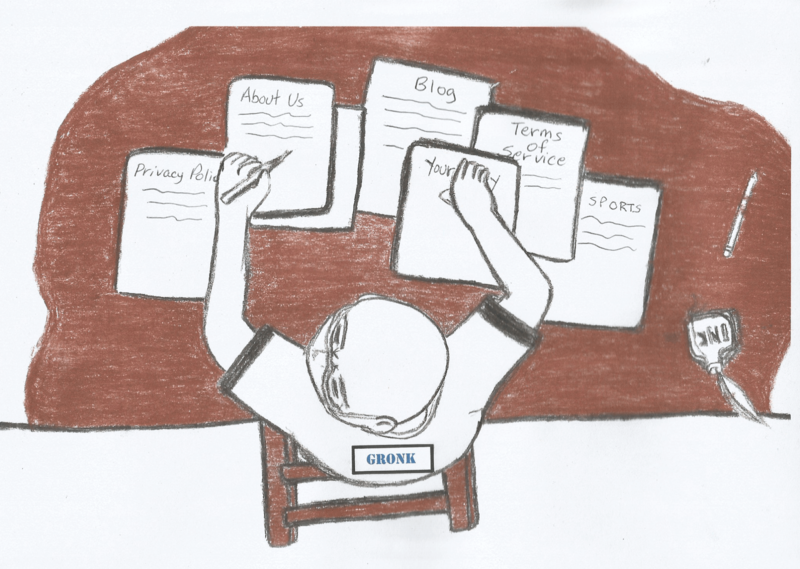 If you need something written for your About Us, Home page or Blog contact me today. I also do book reviews on Amazon, Goodreads, and on my other website, the-write-results.info. Just send me a link (thewriteresults@yahoo.com) to a gift copy of your book on Amazon. I will read it and review it. I only do honest reviews (without taking cheap shots or worry about minor edit points), so if you don’t like my review, write better next time. You’ll need to buy the book to read the rest of the story. The good news is, you can buy it right here. Site speed is vital to your site’s page rank, user experience (UX), and getting people to your site. Just ask an SEO content writer or website optimizer. Make sure your SEO content writer knows that the amount of time it takes to load your site, or transfer from one page to the next easily and swiftly otherwise known as site speed is critical to user satisfaction and SEO page rank. We’ve all sat and pondered the question of, “why is it that my website sits there spinning, while others seem to take off faster than an Olympic track runner? Everybody else’s sites seem to pop right up on command like a magical Jack-in-the-Box. But my site? Not so much. In fact, it is still spinning. Smiling at my frustration like a wacko Chucky doll. Website Optimization plays an important role when search engine indexer like Bing, Google, and others use search engine algorithms to index a site. We all understand there is no way of absolutely knowing for certain because they do not announce their system to the public because it would eventually cause the abuse of the system creating a “biased” playing field. Because of secret algorithms, they allow search engines to index sites without public knowledge of parameters used. The speed of your site is one huge factor used to determine your website rank on Bing, Google, and other search engines. This was not always such a big deal in marketing a website. Page Ranking was mainly focused on keywords stuffing but that is changing. You may be intrigued and surprised to find out that the most important and critical components actually may not have anything to do with rankings. In all actuality, most internet users will only wait a few seconds at most for a site to pop up before they decide to move forward and click on the next search engine results. In fact, according to Kissmetrics, “40% of people abandon a website that takes more than 3 seconds to load.” This should be the most critical consideration to reducing loading times for a site. Users do not stay on a sluggish site very long either. But, the most significant reason you should speed up your site is since the users’ experience (UX) is not good, they do not stay long enough to make a purchase or finish registering. So even when you just use your site as a blogging platform, your main goal should be to produce the best site you can for an amazing UX. Having an SEO Content Writer for SEO is not always a necessity, but when you get busy and do not have the time to put up a new post weekly or bi-monthly, you may want to consider hiring one. If you need something written right away, use my simple contact form and I’ll get back to you right away. This is another area that a website optimization professional would excel in but you could learn some of these techniques yourself if you want to spend the time, try Udemy and look for the Web Developers Bootcamp. Most items that slow up your website loading time are not easy to fix yourself without taking an IT course or two and Udemy makes it easy and cheap. You would be amazed at how much information is available to you. For website optimization, an SEO content writer would know which keyword phrases to use to help your page rank, they would know to optimize images, and they would be knowledgeable of what images to use. You also want to make sure you optimize databases and tables. A critical part of fixing your site speed would be to address all DNS issues. If you have query strings from static resources that are slowing down your site, this is a simple fix. Just add the Remove Query Strings From Static Resources plugin and it will remove query strings from CSS and JS files from the HTML head but will not remove query strings from inside your HTML body. This will improve your loading speed immensely and simply. Since the speed of your site is so vital to the livelihood and productivity of your precious website, you may want to address some of those issues that were just mentioned as soon as possible. There are all kinds of information available to you regarding optimizing images, optimizing database and tables, DNS issues and even dynamic sites with caching. Some of these remedies include using an image minimizer to make jpegs smaller without compromising quality. Today’s high definition images take up a lot of space and those take a long time to retrieve from your server. It is very important to prioritize optimizing these images. I really like using Tiny PNG because this is so simple and user-friendly for the images you already have uploaded. Another quick fix to image optimization is the WP Smush plugin that condenses all the images on your entire site. As you can imagine, this is extremely convenient. When you update your site frequently, your WordPress database or another Content Management System (CMS) that you use grows bigger and bigger over time. Those large databases affect your site’s load speed. Other performance measures may also be affected on your site. When it takes longer for the website’s server to return information for your database and SQL tables, your site speed suffers. That is the reason it is so important to optimize these databases frequently. Use WP-Optimize, for all WordPress sites and phpMyAdmin or Adminer, are other free SQL database (Db) tools. Install a cache plugin, which will significantly speed up your access time and page transfers inside your site. If your host does not administer caching on your site, WP Super Cache will cache your websites without all the bells and whistles. However, some say that WP Rocket is a much better product, yet it does cost you $39 annually. It might be worth the added security and fewer hassles, particularly, if you aren’t very savvy with website optimization stuff. Some will recommend W3 Total Cache, but once again it is not intended for those of us who are not savvy with IT. If you have a developer, you could ask them if it is good for your site speed. You can make money online with little or no start-up cash, if you make crafts or resell items, review products, write, use social media, or provide a service. 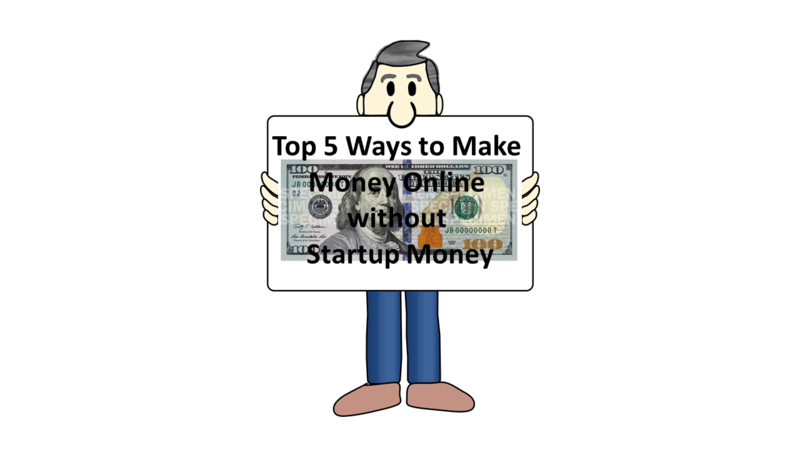 Just because you don’t have the money to start a business does not mean you cannot make money online without start-up money. Do not fall for these emails and headlines: “Make Money Online”, or “Just $50 Can Buy an Online Opportunity to Make Millions.” Some are legitimate, but seriously if you make millions online, why do you need my $50? Anyway, I am not here to make you smarter about not getting fleeced by online predators. I am here to tell you about five legitimate opportunities to make money online without giving your money to unscrupulous online scams. 1. Making Things or Reselling Things! These are not in order of best opportunity or worst opportunity because every opportunity is what you make of it. None of these are “get rich quick” schemes and all these require hard work and dedication. The amount of effort you put into any legitimate initiative will determine your results. Some things just won’t sell no matter how good you are at making those or how much effort you put into marketing. I really like Shopify because it gives you the ability to open a shop right from your Facebook page. This also gives you the ability to connect with your customers instantly with Messenger. Shopify has the potential to reach millions of potential customers and sales on Shopify have already reached $34 billion. What’s more setting up drop shipping is easy when you read Tim Ferriss’s #1 Wall Street Journal Bestseller, The 4-Hour Work Week. What I really like about this job is being able to keep the products I review afterward. Granted not all companies allow you to do that. And, not everything you review is worth keeping. However, many are and if you don’t want to keep an item, you could always resell it. Drop shipping comes in handy for the products that must be returned and for those you resell. Just box it back up and change the address. Swagbucks – Gift cards for watching movies and taking surveys. Get $5 just for joining. User Testing – $10 per test – watch a 20-minute video and get $10 on PayPal. Review Me – This is good if you have a blog, they pay by check after $25, to your card after $20, or to PayPal after every review. ReviewStream – Review movies, books, clothing, or restaurants for $2 plus a $.10 residual or pay-per-click (PPC). This is paid every time a member votes on your review. You must earn $50 before payment to PayPal. Review Stream has a good reputation for paying. Amazon – Everybody knows Amazon is a good place to make money online, but not everyone knows how to get paid for reviewing products. There are lots of other sites that offer payment for reviews, if you don’t like any of these, just Google “How to get paid for reviewing products.” Or, buy the book for just $.99. I could write a book about this area because this is what I do. Although I have a degree in Journalism, it was so long ago I don’t remember much of that. So, don’t worry about a degree, just get started. 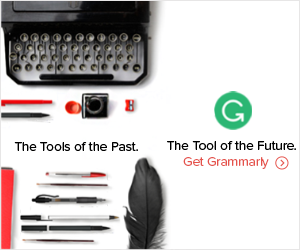 With all the online tools, for editing, it’s easy to make money online writing or editing without a degree, such as Grammarly, Ginger, CorrectEnglish, Smallseotools, and even Word’s Review – Spelling & Grammar Check just bang out an article and use the tools. Sure, you will still make some mistakes, but you must start somewhere. 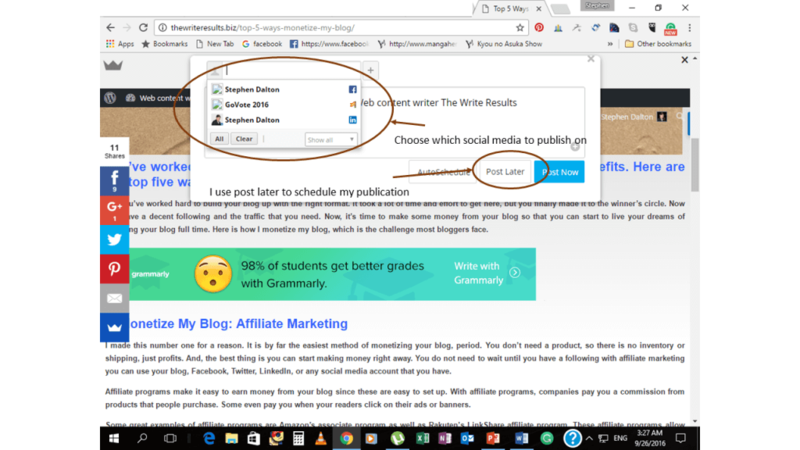 Something I like about Grammarly is if you have a blog, you can write a review or post about it and make $25.00 as an affiliate, plus PPC. 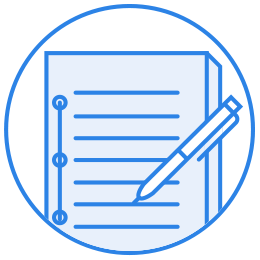 With Textbroker and some other content mills, you can write articles that contain mistakes and still get paid. In most cases, people that request articles here are looking for cheap content $5 or $6 for a 500-word article, which is mostly for search engine optimization, so they contain keywords and then the person that bought the content edits what they receive for use on their website. Many of these sites are set up to make money online by using keywords on websites that use AdSense’s PPC. However, the better your grammar, spelling, and formatting the higher you will get ranked and the more you will get paid. 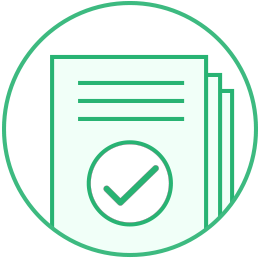 Your completed assignments are evaluated generally after every three accepted submissions and your rating could go up or down depending on your most recent five articles. You will not get rich writing for content mills, but you can eat if you’re quick. A few new entries to the mills are Contently, ClearVoice, and eByline, who brag, you keep everything you make. And, these pay a lot better than Textbroker. There are literally thousands of places online to find work writing or editing, such as Guru, Upwork, Skyword, Craigslist (Manila, LA, or NYC) or just Google, writing and editing jobs. A good place to build a free portfolio for written articles, photography, and fashion. Kathleen’s book The Fast Track to Freelance Success Online inspired me to start a freelance writing career. This book answers the questions many beginners and some that have been struggling for years need to know. Questions such as, where to begin, how to price your work, how to sell yourself, and how to persevere and perform, but more importantly how to repeatedly find work that pays well, where to find that work, and how to create a system of daily prospecting that keeps you busy and even sends work to you. How do I know her system works? Because she has given me thousands of dollars in work, just this year. In fact, I average about $800 a month subcontracting from her. Let’s face it, who couldn’t use an additional $200 a week? Keep your eyes open, join groups in your niche, share articles you find interesting and comment on those articles (Not just, “Great article, I enjoyed it.” but, put some thought into your response and leave an opening for others to respond without being controversial.) Within the groups you belong, you will become a person people respect. SpeakWrite is one of those services that pay people to transcribe audio or video to written documents from home. You can also request these types of jobs on Guru.com and Upwork.com, among others. LiveOps, a home-based business where you can earn around ten dollars an hour (more with commissions) as a call-center representative. Leapforce is another work from home adventure, evaluating websites for Google. In most places, and there are lots of opportunities in other countries, you must have a degree, but if you are pursuing an IT degree you may be able to start working, so just apply to find out for sure. OneSpace, another source of remote work, just create an account, pass a qualification test, have a PayPal account, and you can start accepting work. Maybe you’re now thinking, “Well, I don’t have any of those skills, so how can I make money?” Just pick something you think you might enjoy and take some online courses from Udemy or Shaw Academy. Udemy provides online classes for as little as $15 each and Shaw charges a flat fee to join. You can learn social media applications, Java scripts and other programming languages, marketing, and many others, plus you’ll get a certificate to put on your website to show clients you have at least some knowledge if you wish. It’s like they say, “It takes money to make money.” Online is no different, if you need skills you will have to pay for them. That’s a rhetorical question because I know if you really want to make money online, these are some great places to start. Even if you are just looking for a few hundred a month to pay the rent or buy more groceries, if you apply yourself, you can do it. So, you’re a website content writer who shares information with readers once or twice a week in the form of articles or a blog spot. A website content writer’s publishing options are going to change based on their personal needs, but there is nothing better than being able to publish from an app on your phone or your tablet. 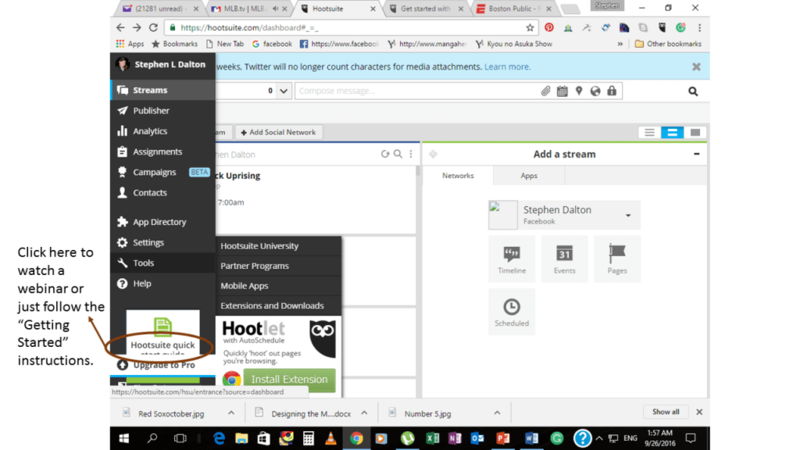 Hootsuite is a handy app that you can add to your device, create content, and then publish that content right from the app. What could be more convenient than that? Well, I’m glad you asked. How about publishing a full week of content during peak hours right from your phone or tablet? Let’s take a look at how to use these apps on mobile technology or your desktop to publish your content. The website content writer deploys a key strategy for quality web content. Google, Bing, Yahoo, and other search engines rank this relevant content. Organic search engine optimization (SEO) for search engine indices is one of the most important aspects to rank web pages for search engine results. Therefore, SEO requires helpful, fresh, and relevant content. Text that informs and enhances the user’s experience (UX) on a particular web page. The content cannot be spam or advertising graphics and sales information either. It is key to manage content regularly for the highest web traffic for your site. This is what Hootsuite does and it is easy to start. Simply go to the Hootsuite website and create an account, choosing the best type of service for your individual needs. 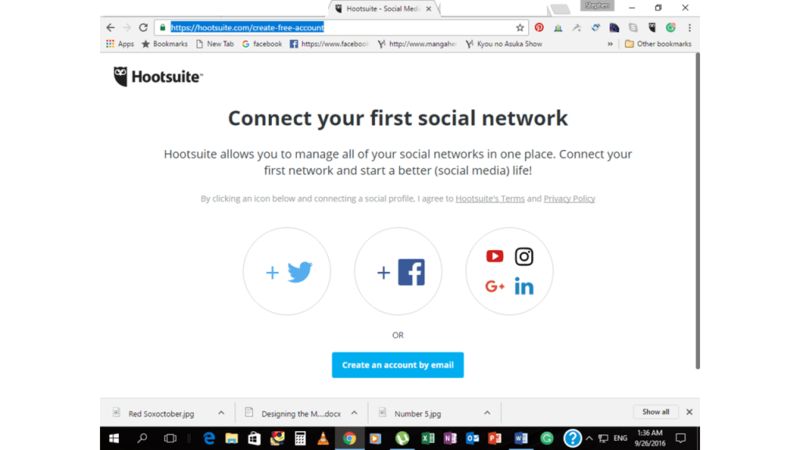 Watch the tutorial video that explains how Hootsuite connects websites with networks such as social media, messages, and streams. Adding streams is done by launching the menu for ‘Streams’. Click on ‘Social Media’ and select the networks desired. Then click ‘Connect.’ This will then authorize your personal social media accounts to the Hootsuite dashboard. With a free account, you can add up to three social media accounts, such as Facebook, Twitter, and LinkedIn. It is your choice which you use or use the premium upgrade starting at just $9.99 per month. Click here to get your 30-day FREE trial. Setting up the dashboard for streams is done with the ‘Streams’ tab. Next click ‘Add Tab’ up on the left top portion of the dashboard. Name the tab and hit ‘Enter.’ Click ‘Add Stream’ inside of each tab and then choosing a social network from the left side menu. These can be matched with the next step. Selection of a profile from the drop-down menu. There you will click on the streams needed for that profile. 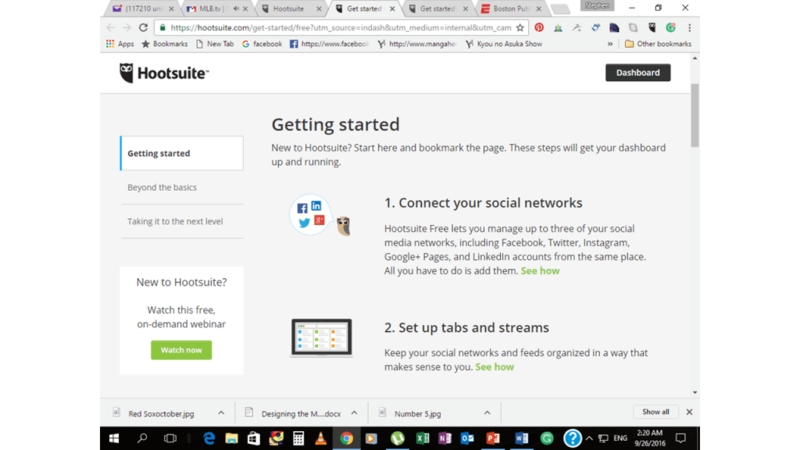 There is a download that is very helpful for bloggers and content managers that want to use Hootsuite. The free download of a browser extension that is compatible with Google Chrome or Firefox browsers is available. This allows rapid content sharing on social networks from anywhere. Click on the get it ‘Here’ link where the application is available. Another great feature available to use on Hootsuite is the application for mobile Hootsuite users. Social media has become mobile by using the Hootsuite mobile app on either iPhone iOS or Androids, iPads, and iPod Touch. This download can be purchased at the iTunes store or the app store for Android. It is actually going to connect right to the service that you use to publish your blog, and then you are going to go through that rather than the regular app. The reason that you do that is to make sure that you are going to be able to get everything done in one place. This means you can sign into multiple blogs if you want to, and that will help you make sure that you are going to get the results you need. After checking your analytics, you know what time of day your social media account gets the most engagement. You can choose to publish any time you want with just one button. You can also use the app to set when you will publish. You may have thousands of followers on Twitter and your tweet will only be visible for a few minutes. So, knowing when your followers engage with your tweets is very important. Using Hootsuite makes your life easier as a website content writer. I schedule my blog post twice a day, at 7 am and 7 pm every day for a week. 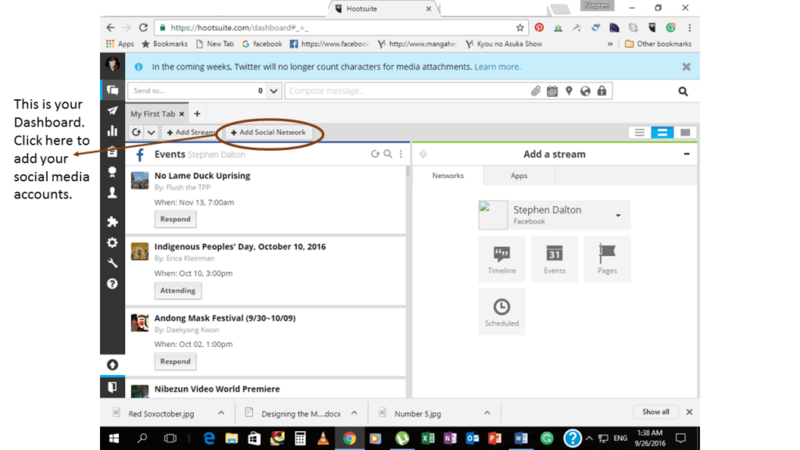 So, as a website content writer, you can see how easy it is to use Hootsuite to schedule and publish your content efficiently. 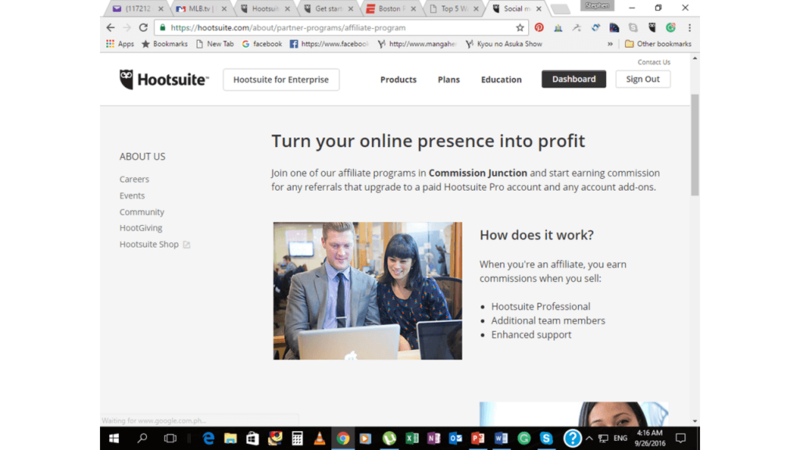 Not only does Hootsuite make it convenient for you to publish your blog and other articles, but they’ll also pay you to encourage others to use Hootsuite. 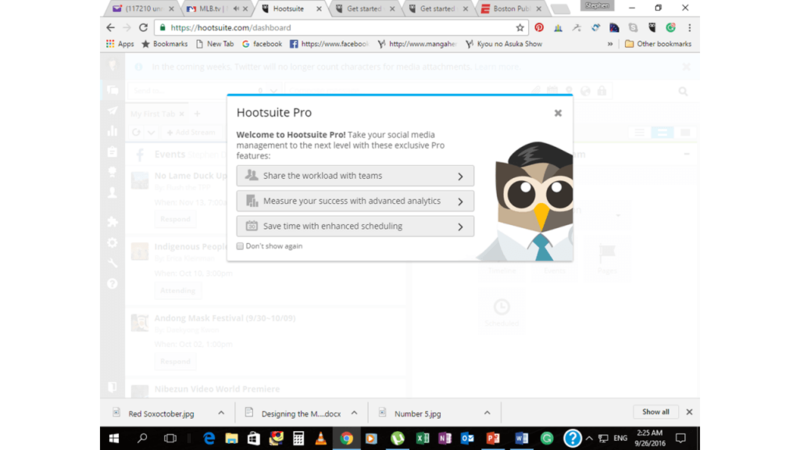 Hootsuite is the Twitter companion a website content writer should not do without, even if you just use the free app and browser extension, you can publish 100s of blog spots and articles on autopilot! Too busy to write a blog, let me help. Just send a Contact form. Are you using Twitter to its full potential? Using Twitter smarter can help freelance writers discover viral topics and make more money. 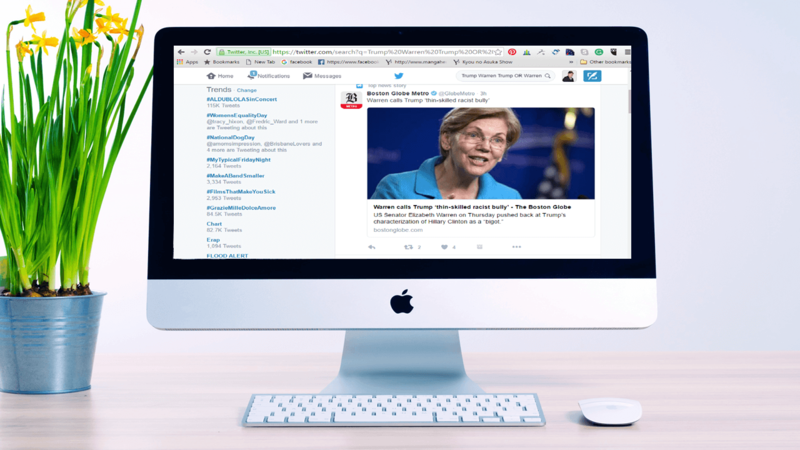 Twitter has become a favorite hangout for freelance writers, particularly since the Trump vs Warren war started. Twitter wars can be a boon for freelance writers who are using Twitter smarter. Some statements from political principals, particularly those with Presidential aspirations circulate fast and furiously through social media. For those of us with a gift for prose, this can be an opportunity to pitch the story to editors within minutes of reading the tweet. Political writing can be a fast moving train and today’s headlines can become as stale as yesterday’s dinner rolls very quickly. Therefore, you need to get out in front of the train, get the story, get off the tracks and on the front page before what’s viral becomes someone else’s lunch ticket. For some, Twitter may just be a simple means to network with writers and editors, keep up with recent news, or share their latest article. Consequently, it has become an integral tool for many freelancers. But, that does not mean that everybody is using Twitter smarter or to its fullest potential. Actually, there are many under the radar techniques that even the savviest freelancers might not know. Finding work as a freelance writer is often considered the most challenging aspect of freelance writing. When you know that you can deliver quality content, but you have a difficult time finding new leads, where do you turn? So, as a Twitter user, you know already that Twitter is a great place to find viral stories. Hidden in those 140 characters are gold, you just need the right tools. Gold prospectors used a tool called a rocker box or cradle. It separated gold from sand or gravel. If you have a particular preference or subject to write about or you just want to “go for the gold” so to speak you need a rocker box to sift out the gravel and trap the gold. That rocker box could be an advanced search. Take, for example, you like to write about national politics, you could put any of these words in your advanced search: Warren, Trump, Clinton, Sanders, Stein, Johnson, or whoever you want to see tweets from or about. Or, maybe you like the comedy of Trevor Noah, the South African award winning comedian and host of the Daily Show, who has an “itchy Twitter finger”. If you get an idea for an article about a tweet you saw a couple of days ago and don’t remember the exact specifics, you could use the date, some of the words, people or places involved and do an advanced search. 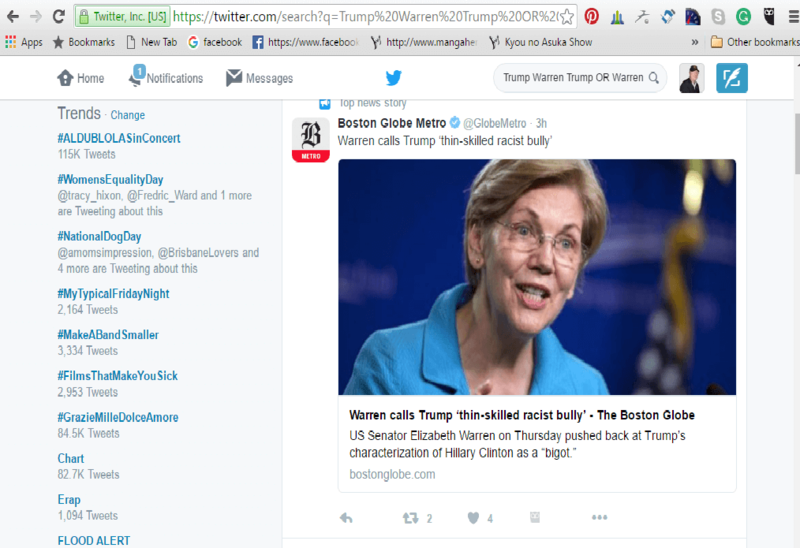 OK, there were a lot more stories than just the one showing but because of the Warren image, not all of those are visible. But, you get the idea. You actually have the choice of words, people, places, dates, or other. When looking for new leads, freelance writers should take advantage of Twitter’s Advanced Search feature. This feature allows you to search for specific keywords and hashtags. Using Twitter smarter means searching for hashtags from potential clients such as #hireawriter, #amwriting, #writinghelp, and #writechat to see if someone is working on a writing project and needs assistance. Then you can send a direct tweet to that user and offer your freelance writing services. Advanced search can also come in handy trying to find editors to whom you can pitch your story ideas. Of course, you’ll need to experiment a bit with searches to find them. Try searches like, “pitch an idea”, “pitch to me”, or “send me your ideas”; who really knows what words will trigger a worthy result? Another advantage of using this feature is that you can search for keywords such as “writing jobs”, “freelance writing jobs”, or “article writer” to see what is available. To help narrow down your search, you can also specify dates and eliminate anything more than one to two weeks old. You can also search for magazines and blogs with specific keywords for your niches such as “pets”, “animals”, “dog”, or “cat” for a freelance writer specializing in pet topics. Once you set up a notification and list system, you can sit back and watch the leads roll in. To use notifications and lists for leads, you need to first set up your lists and then choose to receive notifications regarding those lists. To set up a list on the web, click on your profile and then click on “Lists.” Next, click on “Create New List” and then create a name for your list such as “Writing Leads.” Now you can add any Twitter user to this list to follow for updates. You can choose to follow publications that frequently hire writers, such as Craigslist, Freelance Writing Jobs, Upwork, or follow aggregated leads lists that other users have created. Now that you have new writing work, you might find it difficult to come up with new and exciting topics for each assignment. Using the Advanced Searches tool, you can search for specific topics across various niches that can lead to unique perspectives by other writers as well as unique tweets from others. For example, if you are writing an article on the introduction of the new virtual reality tech gadget Oculus Rift or doing a review on its potential impact on the retail industry, you can do a search in advanced searches for “Oculus Rift”. Include several words under the “any of these words” to combine with the search such as “facts”, “figures”, “opinions”, or “reviews” and see what other people are saying about the product. These articles and tweets that you find via Advanced Searches on Twitter can give you new ideas for your own article on the topic. You may even want to link to details found within the articles you read. At the end of the day, the impact Twitter has on your freelance writing business is up to you. Perform searches, create lists, and keep an eye out for the latest tweets to get the most out of Twitter in regards to your writing career. Use Twitter to follow people that inspire you as well and you will always find yourself with new motivation every time you log in to check your Twitter feed helping you make money using Twitter smarter. Check back next week, when I will discuss how to use Tweetdeck and Hootsuite to publish your articles at the best time to reach the most of your users. 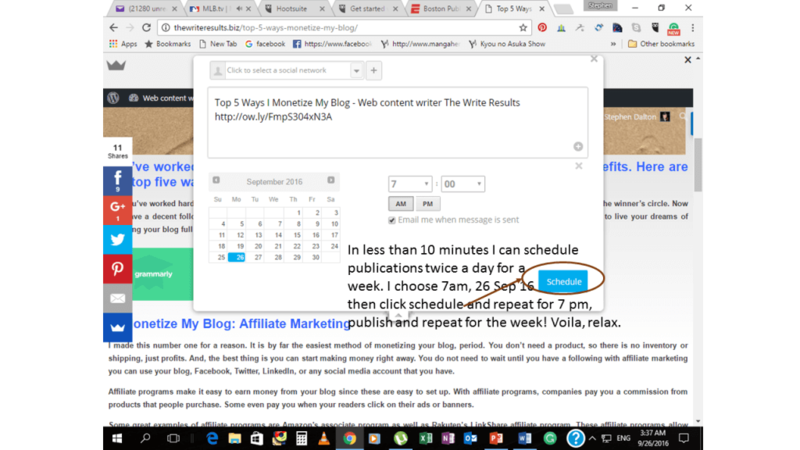 Additionally, I will show you how to setup a schedule to publish for the entire week. You’ve worked hard to build your blog’s following. Now it’s time to reap the benefits. 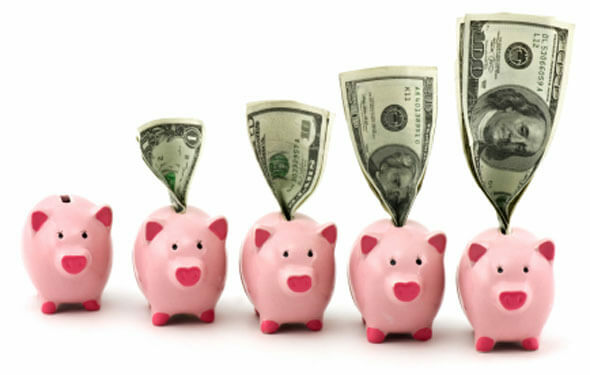 Here are the top five ways I monetize my blog. So, you’ve worked hard to build your blog up with the right format. It took a lot of time and effort to get here, but you finally made it to the winner’s circle. Now you have a decent following and the traffic that you need. Now, it’s time to make some money from your blog so that you can start to live your dreams of pursuing your blog full time. Here is how I monetize my blog, which is the challenge most bloggers face. I made this number one for a reason. 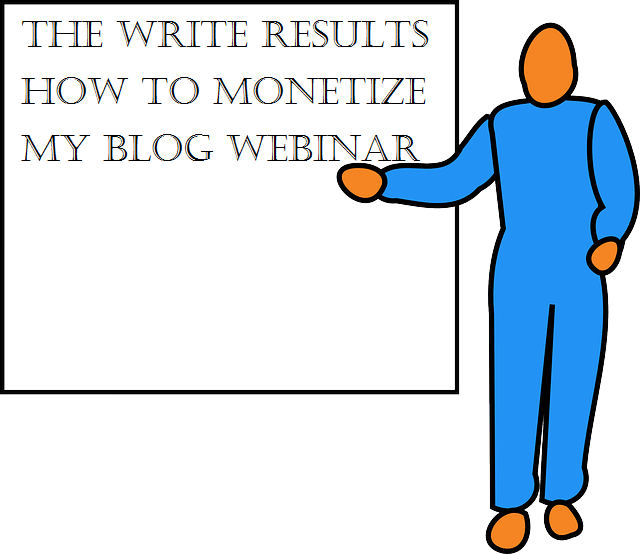 It is by far the easiest method of monetizing your blog, period. You don’t need a product, so there is no inventory or shipping, just profits. And, the best thing is you can start making money right away. You do not need to wait until you have a following with affiliate marketing you can use your blog, Facebook, Twitter, LinkedIn, or any social media account that you have. Affiliate programs make it easy to earn money from your blog since these are easy to set up. With affiliate programs, companies pay you a commission from products that people purchase. Some even pay you when your readers click on their ads or banners. Some great examples of affiliate programs are Amazon’s associate program as well as Rakuten’s LinkShare affiliate program. These affiliate programs allow you to have access to a large number of products and services which you can promote online. They also handle all of the billing for you, so you don’t have to worry about anything other than setting up direct deposit for collecting funds. I use PayPal. I use my blog to give my readers insight into how to make money as a Freelance writer and I monetize my blog by selling my services. Yes, the majority of my readers are freelance writers themselves, so you may be asking yourself why would they hire me to write for them. The answer is simple. Freelance writing is like a roller coaster ride. One day you’re up and the next day you’re down. Some days you are so busy you can’t possibly finish all the assignments you have, let alone work on your site. You must work on your site every week. At least add a new blog. But, make sure you stick with your niche. People come to your blog expecting to read about your specialty. Sure you can stray a little now and then, but always come right back to your area of expertise. Suppose that you’re a consultant: you can convince people to purchase your consulting services with each well-written blog post that draws in a potential new customer. I do not design websites, but I have friends that do. I do not do website optimization, but I can write about it and refer my readers who have a website to my friend who does optimization services to speed up their site. Everyone needs a quick loading site. 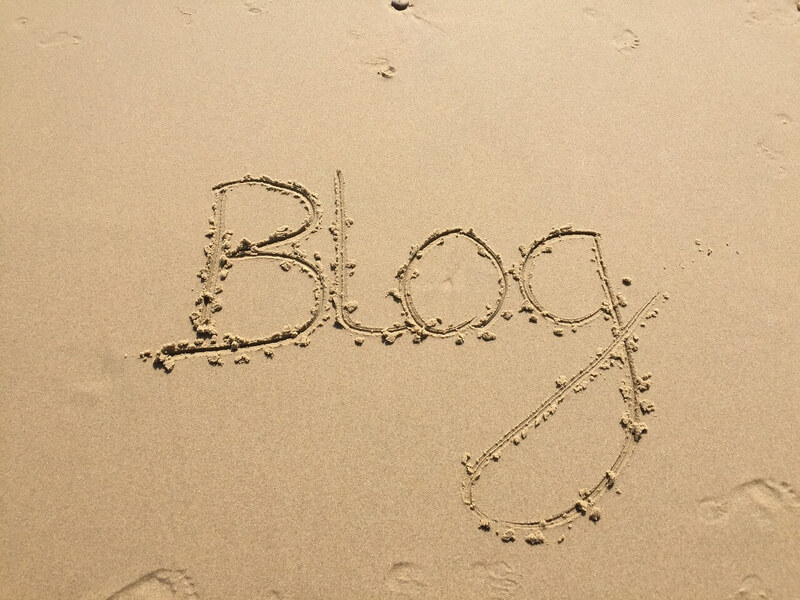 As long as you can directly relate it to your specialty, you can blog about it. There are plenty of business owners who are looking to promote their products for a fixed monthly fee. With a banner ad, you can rent out advertising space to businesses which have products that are similar to those which your readers might have an interest. Banner ad space is consistent income as long as your advertiser is happy with the results they see their banner ad makes money. It’s easy to do this, as companies such as BuySellAds will let you advertise the banner ad space on their site and interested advertisers will be able to buy ads. Another excellent resource is Thalamus, which is a database of advertising companies & publishers, with data & contacts for over 50,000 vendors across the globe. Thalamus also has an easy to use search feature, so if you know the name of the company you would like to approach, you can find it there. You can sell your products online instead of those of an affiliate. You don’t necessarily have to have anything great, but rather you can use a company such as CafePress in order design products such as T-Shirts for your site. With a profit margin as low as $1, if you sell 500 a day… think about it. No, I don’t mean like WikiLeaks or anything like that. I’m talking about teaching others what you know. You are the Subject Matter Expert, why not get paid by selling that knowledge or information a variety of ways. Information products can be anything from eBooks, Audio Books, White Papers, PDFs, to webinar courses. With these digital products, you will be able to sell your ideas and knowledge inexpensively to customers who are willing to pay for your expertise. So, the answer to the question, how do I monetize my blog, is by writing content people are interested in and want to read. Like how to monetize my blog. You have to hold people’s attention and make them want to read your next blog. If you provide your audience with the answers to their questions, why wouldn’t they come back? If you implement my ideas and start making money from your blog, chances are you will come back to find out more ways to make money. Am I right? You have to ask your visitors to subscribe to your blog. Then follow-up and let them know when you have something new. And then, always, always, always do what you say you are going to do. Contact me today if you need content for your website. Check my portfolio: https://thewriteresults.contently.com/ and you will see the proof that I have the talent and knowledge to write on various topics and infuse it with SEO, naturally. I am a retired US Army First Sergeant with a degree in journalism from the University of Maryland. I will write well-researched, SEO infused articles for your website that makes use of keyword phrases and Meta Description tags that will bring the RIGHT customers to your web pages. Grammar and accuracy, although unimportant to search engine index rankings, are imperative to user experience (UX). A reader that has to try and figure out the meaning of your content because of misspellings, dangling modifiers, or split infinitives will not stay on your page long. I use Grammarly to check every piece I write; does it catch everything? No. Do I catch everything? Not all the time. However, between my journalism degree and Grammarly, you can rest assured of clean, crisp content for your website. The statistics below are taken directly from my Grammarly Weekly Writing Update. Additionally, to satisfy Google’s Hummingbird algorithm, I use synonyms of your keyword and focus words within the surrounding text, thus ensuring credit for your Page with the right information to rank on the appropriate search engine results page (SERP). I use proper Meta Description tags, which are a 120-160 character blurb that tells a potential customer what they will find on your site. A Meta Description tag is like a movie trailer in tweet form. This tag is the first item a potential customer will read on the SERP, which will bring the right customers to your website, who are ready to buy your product or hire you to perform a service. The facts speak for themselves, 3.5 billion people conduct a search on Google every day, and 90 percent never scroll past the first five results on a SERP. Your Website’s landing page needs to be one of those first five. Additionally, there needs to be a definitive call to action for potential customers to answer within seconds of reaching your page. Well-written product descriptions and quality, SEO friendly content is your best bet for a significant return on investment. Check my portfolio and I think you will agree that I have the talent and ability to provide you with quality content for whatever purpose you need to fill. Grammarly Activity Report for Week Ending 07 August 2017.
than 99% of Grammarly users. 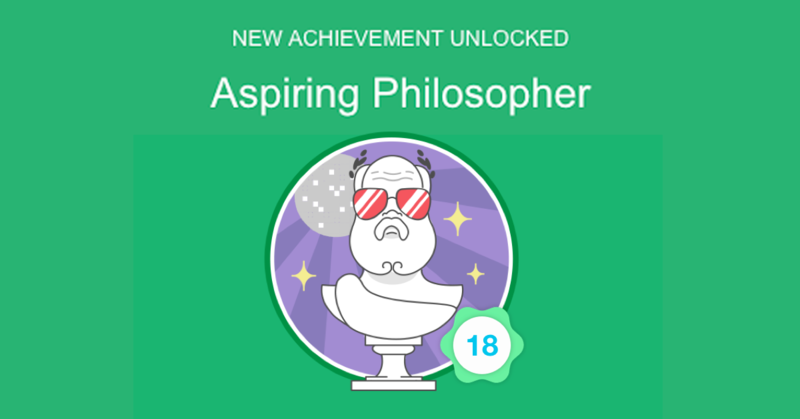 You were more accurate (mistakes/words) than 99.5% of Grammarly users. Your vocabulary was more dynamic (unique/total words) than 99% of Grammarly users. The bottom line is abundantly clear, grammar and accuracy are as crucial to your bottom line in business as it is in writing clear and concise copy people will love to read. 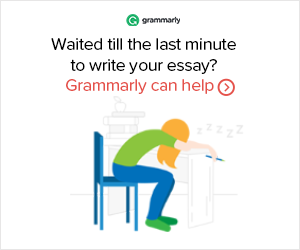 Get Grammarly for your browser and use it with your text editor to deliver top-quality copy every time. Contact me today with your topic or title for an article or blog you want to be written for your website. Are you starting a new business or expanding with a new website and need web pages written for your website? Get what you need for $10.00 per page. Reputation management is as important to your success online as the products and services you sell. Trust is the basic ingredient that sells online products. Are you aware of the internet term NAP? The acronym stands for Name, Address, and Phone number. Those three items are crucial to establishing trust online. Without that information on your site, you could be losing customers. People need to know you are a REAL person and not a fake robot site set up to take their money. Which, brings us to another very important element, an 8” x 10” head and shoulders shot, or a family photo, whichever you prefer. You need a description that will give potential clients the feeling you are someone they can trust and not just a computer bot or worst yet, a scam artist. 300 to 500-word web pages written in plain English that describes you (About Us Page) or your business (Home Page or Blog). 100 percent original, error free content. Delivery of the content in 24-48 hours or your money back. Guaranteed to build SEO Rank and Client trust. Your company details and your brand or product/service description with keywords. If you do not have a keyword or keyword phrase yet I will do the keyword research for your brand. What makes you different. This is very important; this will tell your client why they should buy from you. $10.00 per page. That’s it, no hidden charges, ever. When I deliver your write-up, you pay me on PayPal, simple and easy. 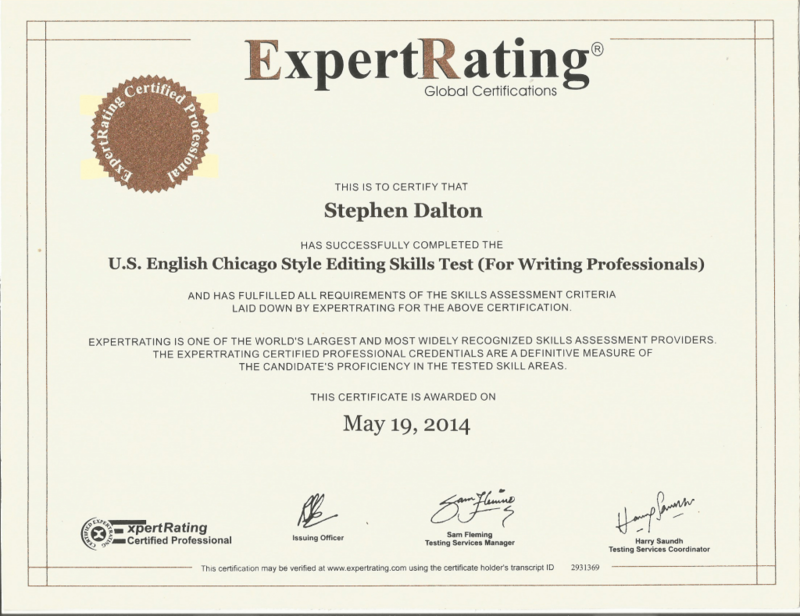 US English Chicago Manual of Style Editor. Uniquely tailored to your brand (product or service). Just send me a message to clarify any points. Social Media is a no-cost or low-cost method to establish your brand and get people to your site, “pinners” pin an average 158 images a day. Why not let those pinners pin your products and/or services? Even when you have no money for an advertising campaign, social media can provide you with a method to reach potential customers and bring them to your site. The main distinction between a Pinterest pin and a “like” or “share” on another social media platform is “interest”. On Facebook, when a person clicks a “Like” button, it may simply be because they like the person who posted it. Pinners normally pin items they are interested in buying, making, or trying. Many will quickly pin something so they could get more details later. Or, they may want more information so they can purchase it at a later time. Their followers may see that pin and spread the word if they are interested too, very much like sharing on Facebook. Pinners quite often pin an item of interest. Shopify states that a pinned item of interest is repinned an average of 11 times. This can help in multiplying the number of people who see your service, product, recipe, or craft many times. Unlike a Facebook like, a Pinterest pin is weighted by its popularity. Your pins or posts will gain strength over time. Facebook posts do the opposite, it may get many shares or likes for that day or even a couple of days, but will quickly fade. A Pinterest pin grows your visibility year in and year out, which enhances your reputation. This concept could make it necessary when developing content to use what is known as “evergreen” ads for your business. Evergreen ads are long-lasting promotions of a brand. This doesn’t mean that you should never offer that periodic special or promotion. These can live on well after the promotion, but adjustments must be made to the price when the promotion is over. This could be as simple as adding an end date for the promotion. Fact: Products or services with a price garner more than 1/3 more pins or interest than the same item without a price. Possibly the biggest draw for new Pinterest members is its simplicity when you create an account. First, and perhaps most importantly, when you create an account is that you check to ensure it will be a business account. Although, either a personal or business account is free, the business profile permits more adaptability than a personal profile. To get your business profile, you just need an email. Your photo or logo is probably the first thing a potential new customer or client will see on your profile. Ensure your image or logo is eye-catching, properly sized, high quality, and professional. When you use a logo, make it professional. You can get a 3D logo or whatever format you like on Fiverr.com for as little as $5.50. As a reminder, your profile is the same as an interview or business introduction; “put your best foot forward,” and make a good impression. This is your chance at building customer trust, so show proof that you are real and not a computer “bot” or rogue software. Online, all a potential customer or client has to go on is your online reputation, so take every opportunity to show yourself and your brand. Keep your Pinterest name simple and accurate. A profile name that is easy to remember will mean more return customers. An example of a good profile name, other than your legitimate business name, is if you sell jewelry, include jewelry in your Pinterest name. Something like “JJ Jewelry” is great because there is a character limit of 15, so you must be creative. Like mine, The Write Results is 17 characters counting spaces, so TheWriteResults is exactly 15. Next, prepare your profile description. Preparation of the short description should include the use of Keyword Research. Keyword research allows for long-tail keywords, which is much more appropriate now with big corporations and big brands dominating the search engine results pages (SERP). These can be the keyword or keyword phrases used on your website already. This will assist in showing the relevance of backlinks to your website to search engines when they index your site. Rich pins for a blogger is a must, because rich pins are a factor in search rankings for Pinterest. 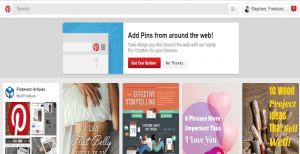 Pinterest prefers to show blog posts or pins that are rich pins,” says Ng. “On top of that, rich pins also have more credibility and authority because rich pins for articles show off, in bold text, the title of the blog post article and the Meta description when clicked through. Fact: Of social media sites, Pinterest is second only to Facebook in driving traffic to business websites. Ensure that rich pins are enabled on your business website. This is difficult and time-consuming, therefore you can contact me for assistance or watch this YouTube video tutorial by Shanndelier. https://www.youtube.com/watch?v=XKXdJJi4xjg After we are finished setting up your Business page on Pinterest we will pin a few of your quality images. This will take your content along with it to the pinned page. So, send a proposal or request today. Please reference Pinterest in your proposal or support ticket. Many bloggers pin boards of popular search topics. These are often related to their business, such as Food and Drink, D-I-Y, Home Décor, Weddings, Design, or Women’s fashion. Actually, she advises 17 “smart ways” for businesses to create boards. The use of a Pin-it button for your site is essential, so people can add pins to items they like. These pins will be tracked back to your site. Many people pin those things they are interested in so that they can get additional information on those or purchase the item later. Their pins will be seen by those that follow them, which helps spread the word exponentially for you, which is similar to a share on Facebook. Many pinners will pin pictures on their phone to their boards. Whereas doing this is fine for their personal account, the process does not apply well to business accounts. The ease of uploading photos and images from anywhere is great. But, when those images are not tracked back to your site, it is simply another cute image. You want your pins to take a potential client to your content. Once a client is there they can accept a request for registration or make a purchase on your site. Be careful when moving or redirecting pages. When redirecting traffic or moving a web page you can lose traffic. To change a link is easy; however, you cannot redirect links or repin boards on another person’s social media site. Like any social media platform you use for business, you need to know how well it works for you. This will determine the amount of effort or dollars you put into that ad campaign. Pinterest added Google Analytics to its dashboard to make it easier for users to check how many repins or views a target receives. This will give you an idea how certain keywords are working for you, and the amount of traffic is being directed to your website. https://business.pinterest.com/en/success-stories. Seeing what others are having success with could help point you in the right direction. 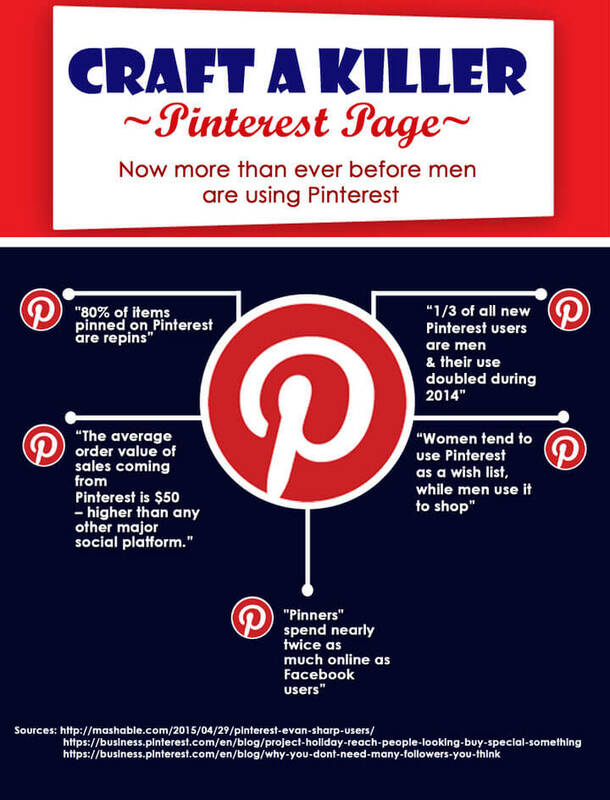 Pinterest can be a valuable asset to any business, like any social media. Good marketing is all about exposure and Pinterest is number two of the top social media sites for exposure. By linking other social media sites and websites to the business profile, Pinterest could become an important resource for your business. Although the Pinterest Help Center provides many instructions for business owners, many may not have the time to commit to a marketing campaign on Pinterest. It might be advisable to pay a professional to assist in setting up, at least initially. This might sound costly, but you will be pleasantly surprised when you utilize The Write Results to set up and organize your Social Media links and establish a marketing strategy for your small business. Reading on e-readers such as Kindle, Nook, and iPad make it convenient to read almost anywhere. Here are the instructions for each format with a few extra tips. Reading and writing go hand in hand. Most good writers started as avid readers and some stayed that way. I am sure there are some writers that do not enjoy reading, though I don’t know how they would compare their work to know if it were good or not. I would like to share two quotes with you, in case you don’t take much stock in what I say about reading and writing. The first is arguably the best modern day author with more than 50 published novels. The second doesn’t write much at all, except in the classroom and maybe in her journal. This is what she wrote in my journal that she gifted me one Christmas. So, with that being said, let’s get on with the subject at hand. 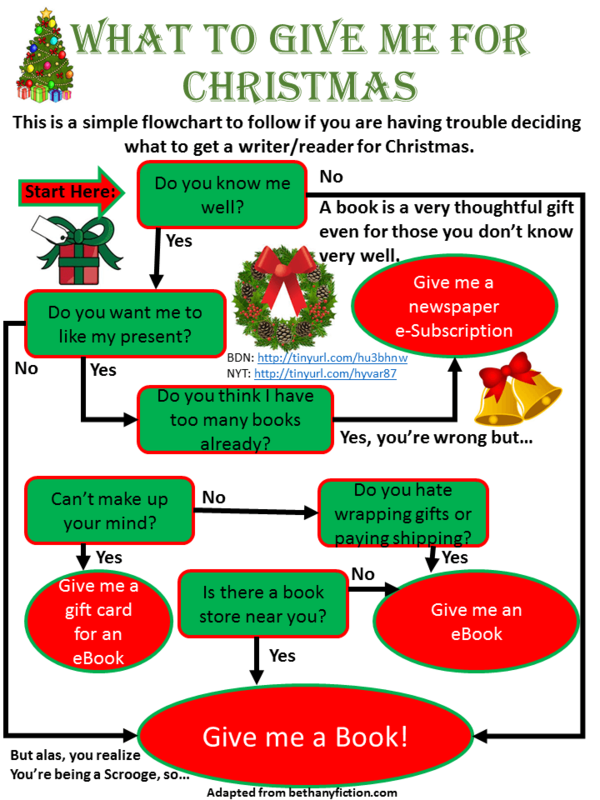 What to get the reader or writer on your list, or how to “spark an interest”. It is my opinion that not everyone should write, but everyone should read. I know there are moments when I wish I had never started writing, but there has never been a moment when I wished I had not started reading. There’s nothing wrong with gifting a good friend or family member a book you finished reading, though it would be more appropriate to give them a new copy. However, now more people are getting their reading materials online. E-readers such as Kindle, Nook, and iPad make it very convenient to read almost anywhere. In fact, writing on one of those devices is quite convenient as well. I store whatever I am writing on Dropbox, so if I have a sudden flash of an idea I can add it right away rather than carrying around 3 x 5 cards as I did before my Kindle. Although, I am more apt to have my phone, which has that capability as well. Giving an eBook is simpler than most would imagine. However, there are different rules depending on the device the reader uses and that can get complicated. You could choose to start with Bookfinder (there are others but this is my favorite) and when you find the title you are interested in buying, then you can decide which service. Since I am very fond of my Kindle, let’s start there. Start by going to Amazon.com. If you know the title or author, you can just start a search. Once you find the book in Kindle version, click “Give as Gift” button. You may choose to send it on an e-mail and choose the delivery date, or you can simply print the voucher, which you could send in a card, or scan and add to an e-card. Once you’ve located the applicable list, you can Click Remember if you’d like to save a link to the list. Note: This step is optional. If you choose, this will allow you to find that list from any list search results page, the left side of your own list or the Gift Planner main page. On Barnes & Noble, find a Nook Book and then choose “Buy as gift.” However, registration is required and you will have to fill out a form to complete the purchase. During purchase you can choose the delivery date, so your recipient receives the gift just before Christmas or whichever occasion the gift is given. After receipt, the recipient has the choice to trade for another book, a different gift, a Nook app. or a gift card. iOS readers have many more options. If you know they use a Kindle or Nook, use the previous methods. If you’re unsure and do not want to ask because you may tip them to your gift, just give an Apple iBook. Giving an iBook is a little more complicated and time-consuming. Launch iBook’s app from your iOS device. 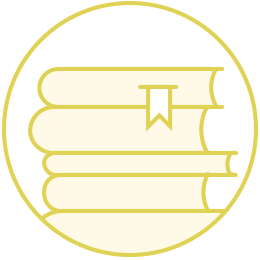 Find that perfect book, tap share (it will look like a square box with the arrow pointing outward), and then choose “Gift.” The app will walk you through the process. You will need to sign in on iTunes, choose the recipient, choose whether or not to add a comment or message, and then enter the send date. You can purchase an eBook on Google Play; unfortunately, there is no option to gift one. You could give a gift card and suggest a book you enjoyed, or something you think they would enjoy. Another choice, is to purchase a Nook or Kindle eBook and in your gift message give them a link to the free app that accompanies it. 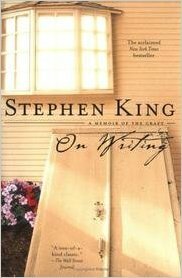 On Writing: A Memoir of the Craft is one of Stephen King’s books about writing, which I refer to frequently. Although published in 2000, it is a timeless tool for your writing craft. 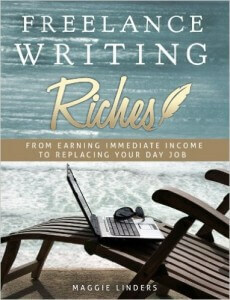 However, the book I read that help me start making money with my craft was, Maggie Linders, Freelance Writing Riches: From Earning Immediate Income to Replacing Your Day Job: Make Money Online with Freelance Writing. When I read this, I thought if I could get paid for one article, then I would know I could do this. A few days later I sold my first article to Yahoo! Contributor for $14 and even though Yahoo! Contributor no longer exist, I have been writing ever since. Or, perhaps the writer on your list would like a pen & notebook. These are a perfect combination for less than $40. Copyright © 2019 Stephen Dalton. All Rights Reserved.